Some of you may have just gotten an email that promised you Jeeves and Wooster today. No, you cannot have Jeeves and Wooster today! It was all a lie! Actually a typo when I set the date! But you will get Jeeves and Wooster in January. This, in case you are wondering, is a clip from dolphin documentary narrated by David Tennant. But wait! There’s more! The filmmakers study the dolphins by means of a hidden camera in a robot turtle! I swear this is a thing! And in the full documentary, dolphins are observed getting stoned by sniffing puffer fish! But kids, JUST SAY NO! This is so much weirder than anything I could ever, ever make up. If one of your New Year’s resolutions is to get your ideas and products out into the world, then you might find my notes from the self-promotion panel at Convolution to be helpful. Here’s my notes! A lot of the conversation involved how to use social media effectively. All the speakers emphasized the need to be honest, and be yourself. They also pointed out that “there is no privacy on the Internet”. Many harrowing tales were told about people who either intentionally or accidentally vented their ire at someone online and lost credibility and customers because of it. So how can you be yourself if you shouldn’t be negative when you’re upset? First of all, the panelists weren’t saying that you should never be negative. Rather, they were saying that you should be judicious. Don’t be a whiner, and don’t vent about someone without thinking it through. That’s different from calling attention to a problem that you truly think should be public – and anything you say online can become public. When it comes to venting irritation, M. Todd Gallowglass pointed to Wil Wheaton’s technique. Whenever Wil Wheaton is annoyed or upset, he posts something about unicorns and rainbows. His followers know that’s code for him having a sucky time, but it’s not specific. M. Todd Gallowglass also said that it’s important to use Twitter and Facebook to tell your story and to invite dialogue. “Be a person, not a linkbot”. He also reminded the audience that “The ‘share’ button (not ‘like’, but ‘share’) is the most important button in social media. Much was said about being generous – with advice (when you are asked for it), with resources, and with pointing people elsewhere if they need something from you and you know that someone else can do a better job of filling that need. M. Todd Gallowglass talked about science fiction and fantasy as being a very open, supportive community, and pointed out that not every genre of writing is typified y this kind of openness. He encouraged writers to help each other, because “People who see everyone else as competition don’t grow”. 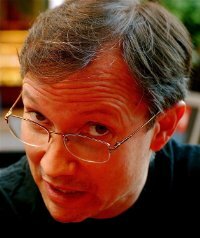 Jay Hartlove is the author of the Isis Rising Trilogy. He is currently working on Mermaid Steel, a romance which he is publishing in serial format – one new chapter is posed online a week. Jay answered some questions of mine over email so I could share his writing journey with you! What is Mermaid Steel about? Mermaid Steel is a romantic fantasy adventure about a human man named Sten and a mermaid woman named Chielle who fall in love despite a generations old distrust and hatred that divides their two villages. 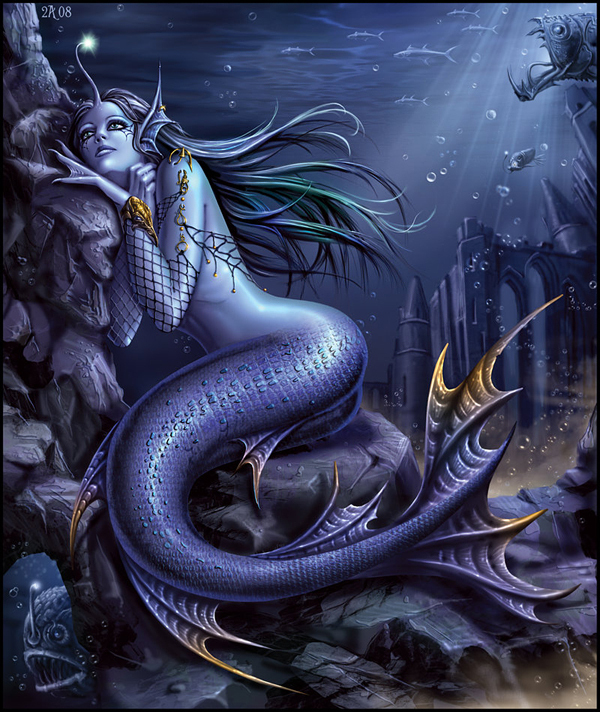 Humans have advanced with the development of steel, but since steel cannot be smelted underwater, the mermaids have been left with human castoffs. 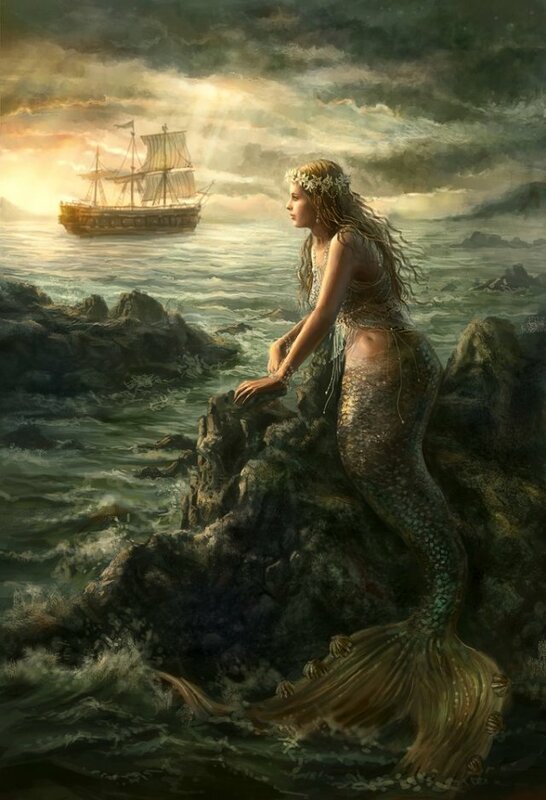 The humans have come to think of the mermaids as thieves while the mermaids have come to see the humans as arrogant and greedy, especially for how the humans encroach on fishing grounds designated by treaty for the mermaids. 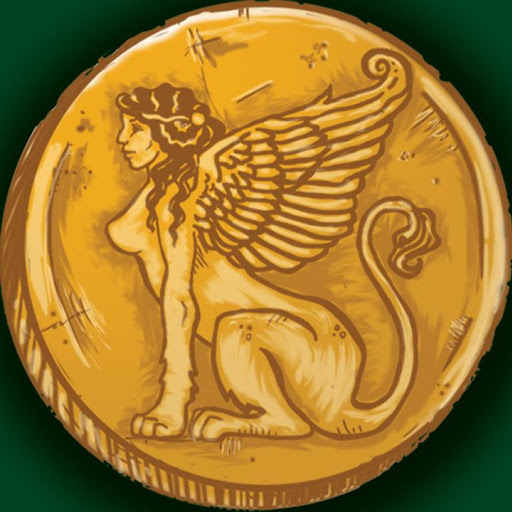 The two villages differ in culture, music, and religion, with the humans believing in a divine right to excel as the inheritors of a mythical perfect human predecessor called Atlan, and the mermaids believing in cooperation with nature and the sea, who they call Rorra. What draws this couple together? Why should we root for them? And what is keeping them apart? Sten is a blacksmith and Chielle is a weaver. Sten has justice issues due to an earlier run in with the law. Chielle stalks him to learn more about his blacksmithing, and is on hand when he almost accidentally drowns. 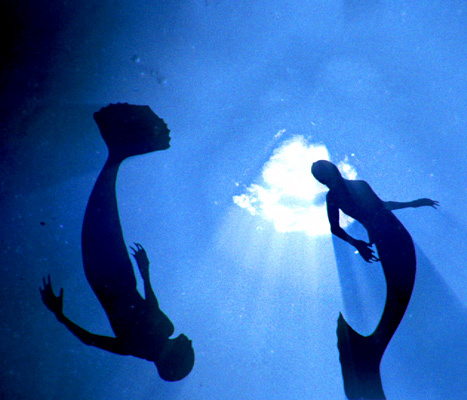 In talking to her, he learns the depth of the division between the villages and the injustice the mermaids suffer. 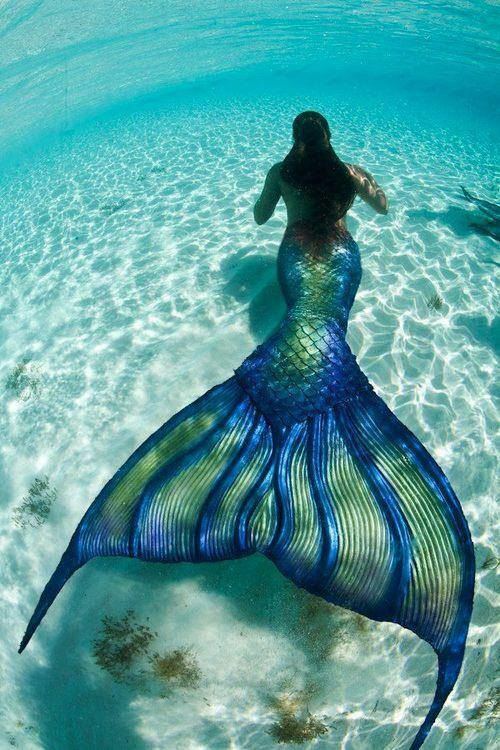 When he starts to stand up for the mermaids, Chielle is attracted to him for his heroism. He is initially attracted to her because she is so exotic, but then he is taken in by her curiosity and her drive for change. If they can overcome their differences, these two might be able to bridge the gap between the villages and build peace. At the start of this story, tensions have built up to where violence has broken out so there is a lot of bridge building. As they get to know each other better, they start to adopt some of each other’s thinking, Chielle becomes more assertive and Sten becomes more patient. What prompted you to write a romance novel in general, and this one specifically? I’ve been writing a series of thrillers called the Isis Rising Trilogy. I have finished the first two, The Chosen and Daughter Cell, and they are out. I am working on the third and final book, Isis Rising, and I wanted to take a break, to take a step back and make sure it is everything I want to wrap up the series. I’ve been wanting to do an inter-species love story for a while, and this was a golden opportunity. It’s an adventure story, and it has a big spiritual component, which two things can be said of just about everything I’ve ever written. Whereas my thrillers hinge on people always being in danger, this story always comes back to the love Sten and Chielle have for each other. In part, I took it on as a challenge. I Method Act my characters, so I had to really get in touch with my feminine side to figure out what would make Sten attractive to Chielle, in spite of all that body hair she finds so strange. Do you feel that being a male romance author gives you a different perspective on the genre or the characters? Do you feel that as a male writer of romance you are treated or perceived differently? I feel like I’m taking a chance in the way I am telling this story. I am telling it every bit as much from Sten’s perspective as from Chielle’s. So the reader will see what both are thinking and feeling and how each of them changes and falls in love. I have not read that many pure romances, so I don’t know how unusual this approach is, but it is something I feel strongly about doing in this story. I admire stories with characters who all have believable motivations, fully rendered back stories, and who make the best decisions they can with the information they have. I can care about people like that. I want my female readers to fall in love with Sten and also understand why the male readers are falling in love with Chielle. Talk a little about the publishing method – where can I find chapters (and why did you decide to publish it serially?) Will there be a finished book for sale? This whole project is a self challenge. I plot extensively before I write prose, so I wanted to put that to the test in addition to exploring a new genre. So when I finish a chapter, I post it online. If I paint myself into a corner, then I will have to get out of it with everyone watching. I publish the chapters on my blog www.jayhartlove.WordPress.com and on Facebook www.Facebook.com/mermaid steel. According to the site counters, there are about 150 people reading the chapters at this point. There will come a point in the story where I will have to only post on my blog and link back to Facebook, given the nature of the material and Facebook’s content bans. But we’re not up to that point in the story yet. Yes, when it is all done, I plan on getting the whole book published, probably after some serious editing, and putting it up for sale. I’m going through some changes in my personal life, so I cannot say when the book will be done. I can promise I will not let the story languish. I love the story far too much to allow too great a delay. Here’s a twofer of my favorite Sesame Street Holiday Moments. I recommend tissues. 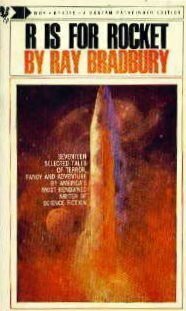 This Christmas Eve, treat yourself to this short story by Ray Bradbury, “The Gift” It’s from his superlative collection, R is for Rocket. “The Gift” is such a short story that this review, or, more accurately, this glowing recommendation, will be short too. “The Gift” tells of a man and a woman who are taking their first space flight with their little boy on Christmas Eve. He had hoped for a tree and presents, and his parents got him a tiny tree – but the gift exceeds the family’s weight allowance and the tree is not approved, so they have to leave tree and gift behind. The rest of the story is the father’s solution to how he can give his son a Christmas Tree in space. I dare say no more. If you don’t get choked up at least a little then your soul is dead. Not that I’m judging you. “The Gift” is a beautiful example of how a writer can accomplish a great deal in just a few words. Every word counts – so we care about the family, we have some idea of what their world is like, and the story has visual and emotional impact. As a tree-hugging atheist, I find the solstice holidays to be meaningful because I’m drawn to the reoccurring themes of renewal of light, celebration of nature, and giving to others that appear across so many cultures. I can’t think of a much more pagan way to celebrate solstice than to bring a tree inside and decorate it, hang lights all over the house, and celebrate re-birth. And I have to confess that I’m pretty into that gift thing, too. “The Gift” gives the reader a deep sense of veneration and wonder without being specifically religious (other than references to the holiday as “Christmas”). And it gives a deep sense of generosity and kindness, in showing how the other passengers participate in trying to create a special experience for the child. It’s a beautiful story and an exquisite example of writing craft. And it’s so short you can read it in less than five minutes – handy for when the holidays are not so much a time of wonder and veneration but a time of busy, busy madness. It’s a little hit of serenity and joy. Here’s a repost of a poem I wrote in December 2013. Written by me, with copious assistance from Clement Clarke Moore, who wrote the original “Night Before Christmas” back in 1823. Hope you enjoy this silly fun! We’d all hunkered down for a holiday slog. With so many deadlines and so much to do. 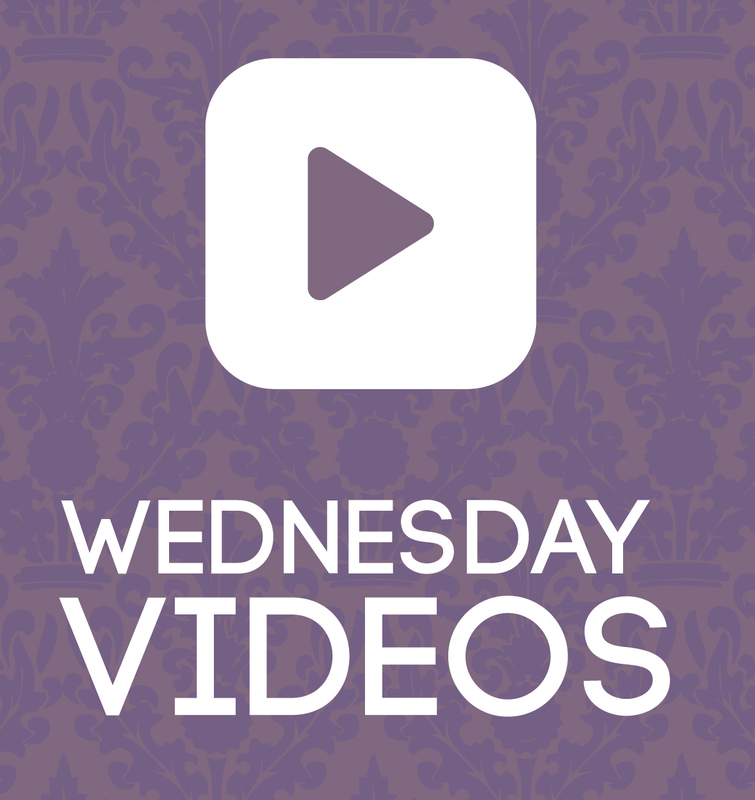 We had no ideas for our blog – sad but true. While visions of toy robots danced in her head. Was typing and wishing for just one more nap. But a strange little gif of six tiny reindeer. I knew in a moment it must be my muse! “Now, Steampunk! Now, Romance! Now, Noir Mystery! To the top of the bookshelf! To the top of the wall! Books about robots and pirates and elves. Books about cooking and fixing my dwelling. So many authors inspired my heart! I flew to my keyboard! Quick! Where to start! As I learned about oceans and atoms and space. 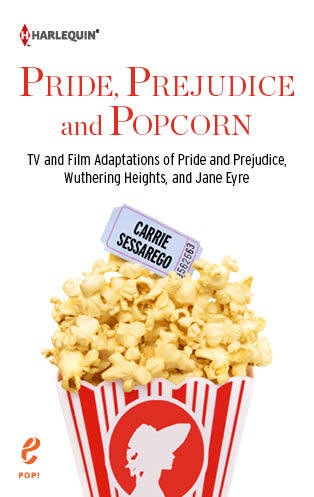 First of all, I am so excited because my book, Pride, Prejudice, and Popcorn: TV and Film Adaptations of Pride and Prejudice, Wuthering Heights, and Jane Eyre, is being released on January 6! It’s currently available for preorder at Amazon and Barnes and Noble. Check out the cover!